The CCFC’s logo! Made by SD! Hello fellow treasure hunting, captains of the sea! 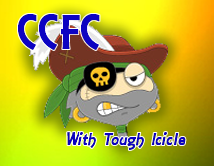 I am your Captain; My name is Tough Icicle (Samwow5)! I am the president of the Captain Crawfish Fan Club aka CCFC! We are the newest edition to the Villain Enthusiast Club! This page is all about Captain Crawfish and all his great rule to take over the sea! If you will like to join the club, comment below and say what position you want to be. Captain Crawfish’s Portraits – This will have all the posters that have been released for Captain Crawfish, or any other artwork. Captain Crawfish’s Journal– Facts, trivia, and general info about him. COMING SOON! Can you help me out, crew? Here are all the followers of CCFC! They are listed in rank, then alphabetically! Here is how all the CCFC ranks work (what they do) and how many people each rank can have. They are listed by how high the rank is. Quartermaster – a portion of the captain’s role and power on the boat into the hands of an quartermaster who became second (in this case third)-in-command and almost a co-co-captain through his representing the best interests of the crew. Navigator – Steers the ship in the right direction home and sees if any storms are coming. Lookout– Looks around trying to make sure no trouble is coming to him on the high seas. President – You can’t earn President, sorry. Vice President – Show contribution to the CCFC, beat Skullduggery and Super Villain Island at least once (The more the better), and do not ask for the rank. The President picks a certain person. Quartermaster– Complete Skullduggery Island 4 times, complete Super Villain Island 5 times, and say anything that will possibly help you win the rank. The President will decide if you qualify. Lookout– Complete Skullduggery Island 2 times, complete Super Villain Island 2 time, and say anything that will possibly help you win the rank. The President will decide if you qualify. 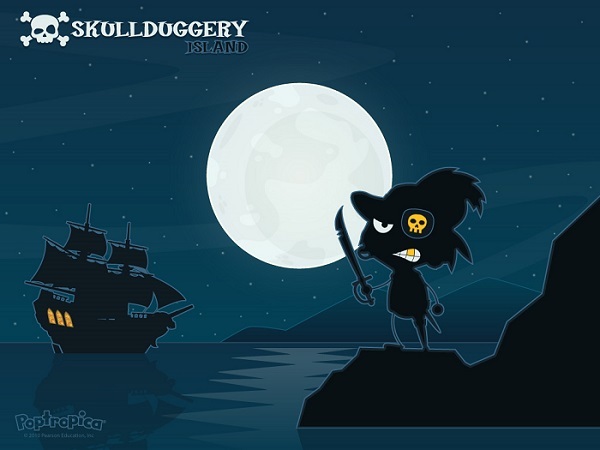 Deckhand– Complete Skullduggery Island 1 times, complete Super Villain Island 2 time, and say anything that will possibly help you win the rank. The President will decide if you qualify. Member – Just ask to join in the comments! 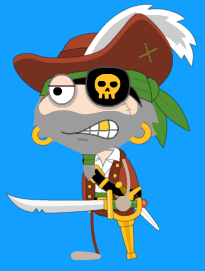 He needs to overcome his blogging addiction in a new Island,thus making him the most three dimensional villain in all of Poptropica history. Can I join in the comments! What is captain crawfishs password. Sorry, but we don’t know, and it wouldn’t be our information to give out. I wanna join! Skullduggery once and Super Villain once,but I’ll probably play it again cause I’m bored. LOL, ok. I hope u become a higher rank than a member! Why do you have to beat Counterfeit for Vice President? I will be a lookout! I have completed the requirements!All hail Captain Crawfish,yo ho ho and a bottle of rum! You are now the Lookout! Welcome to the club! Ar,cap’n! There seems t’be a storm brewin’ west there. But we aren’t havin’ a navigator! What will we do,cap’n?! And,I didn’t eat my lunch,cap’n! Why isn’t a cook in the ranks,cap’n? An’,is anyone steerin’ tis’ thing? And cap’n,did ye know I have 2,000,000 doubloons at the Golden Harbour Bank? Is someone ‘ere a cannoneer? I see a ship out there! xD You crack me up. 😆 Unless……. MY EGGS?! :O Jk.